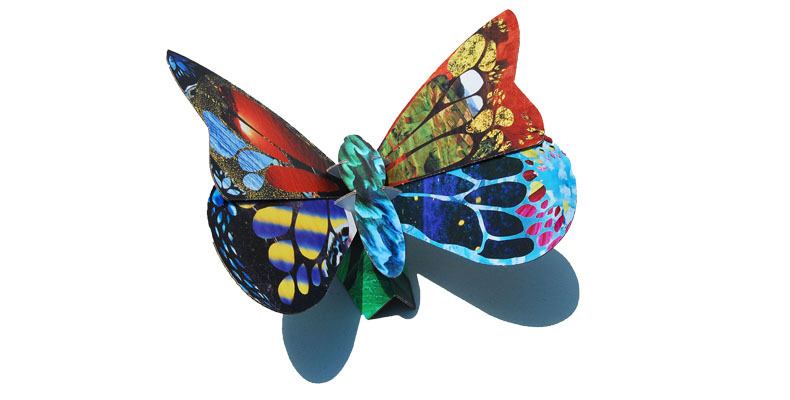 Bright, colorful pictures of sky, sea and earth appear on the wings of the Urban Canvas Spring Butterfly sculpture and coin bank, transporting the imagination to places far, far away. 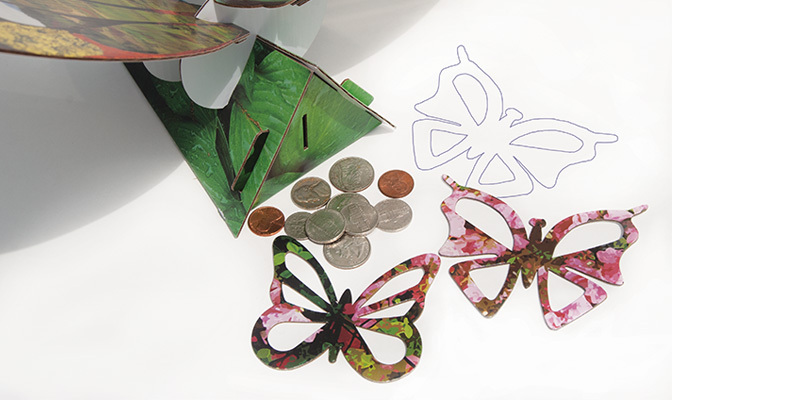 The reverse side of the butterfly wings is blank, creating the perfect arts and craft activity for children. 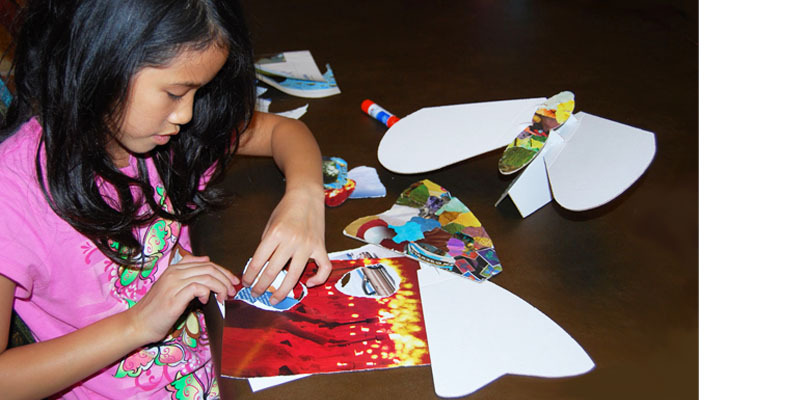 Kids can use the included collage paper and recycle materials found at home such as old catalogs and magazines, and scraps of fabric to make their own vibrant, textured collages to celebrate the beauty of the butterfly. 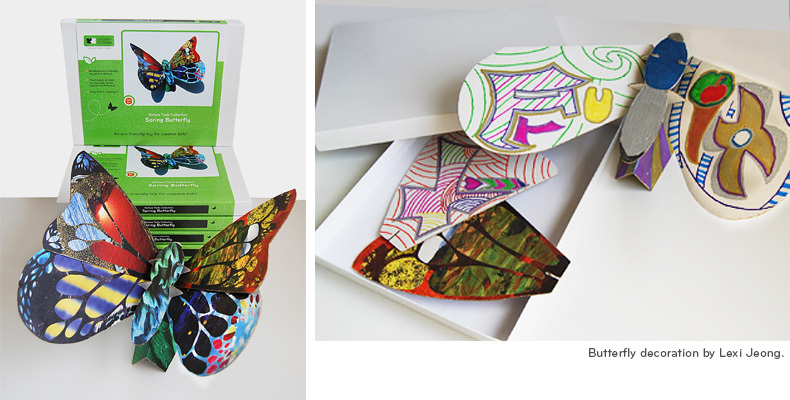 Once completed, kids will have a unique sculpture that they can proudly display and use as a coin bank! 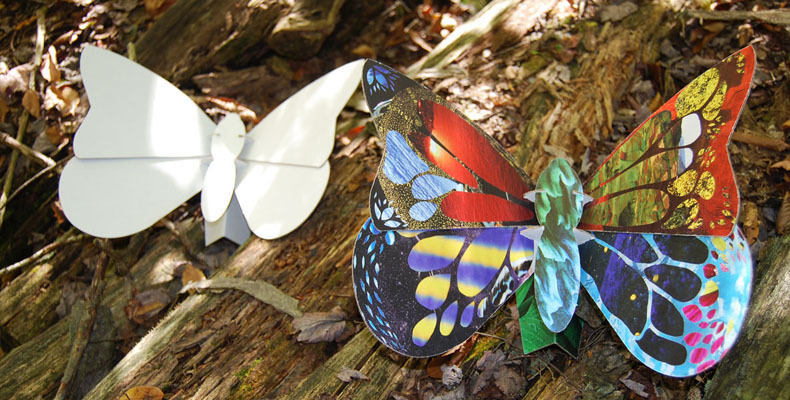 The Urban Canvas Spring Butterfly is simple for little ones to assemble with minimal help from mom or dad, and is a fun and creative educational toy that helps kids learn the basics of environmental conservation: reuse, reduce, recycle. • Collage paper and glue. 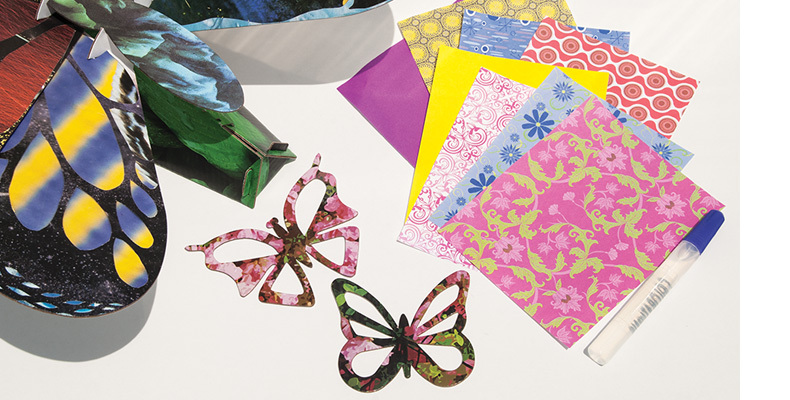 Collage paper may vary from those pictured.